We are pleased to announce the release of Stage 4A at Orchard Green – Melton South. The Perfect Place to Live…..
A section of 13 Premium and Affordable allotments to be be released. Prices commencing from $145,000. Titles estimated to be ready in the 1st quarter of 2020. 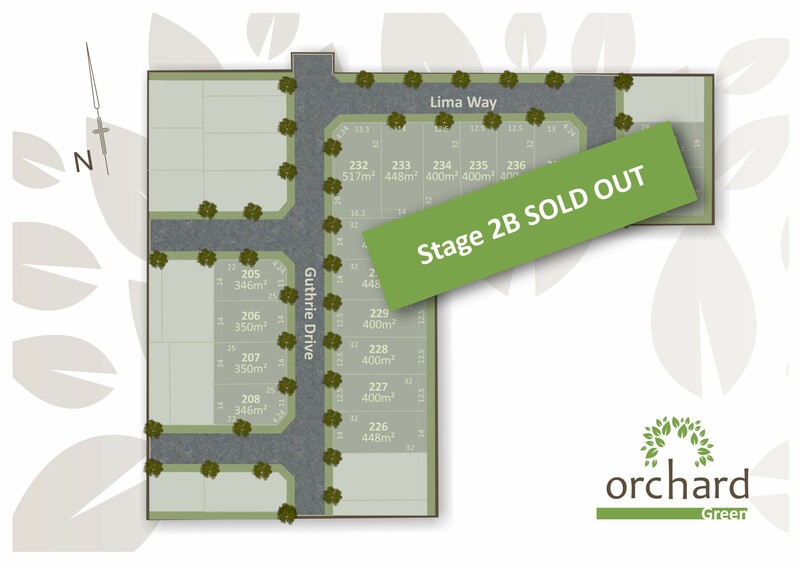 To secure your lot please register today and email info@orchardgreen.com.au or contact Romeo Sassine on 0411 882 605. We are pleased to announce the release of Stage 3A in the 6th October, 2018. A selection of premium Lots measuring from 212sq.m. Build your dream home in a vibrant community only minutes from Melton Train Station, respected public and private schools, kindergartens and Al Iman College. Orchard Green Estate – The Perfect Place to Live…. Stage 3A – Releasing Soon! We are pleased to announce the release of Stage 3A is scheduled for early October, 2018. A unique, exciting and affordable opportunity to secure premium vacant allotments in Stage 3, measuring from 212sq.m to 846sq.m. Stage 3 – Release Update! We are pleased to advice that the future release of Stage 3A will be announced in the upcoming weeks. Following the successfully sale of 115 allotments in stages 1 & 2 of Orchard Green Estate earlier this year, we are hopeful to announce in the upcoming weeks the official release date of the first of three stages of a total 55 premium lots to be released in Stage 3. Titles for Stage 3 are estimated in the 3rd quarter of 2019. Register your interest today and email info@orchardgreen.com.au or contact Romeo Sassine 0411 882 605. Stage 2C – SOLD OUT! The final land release of Stage 2 was successfully SOLD OUT. 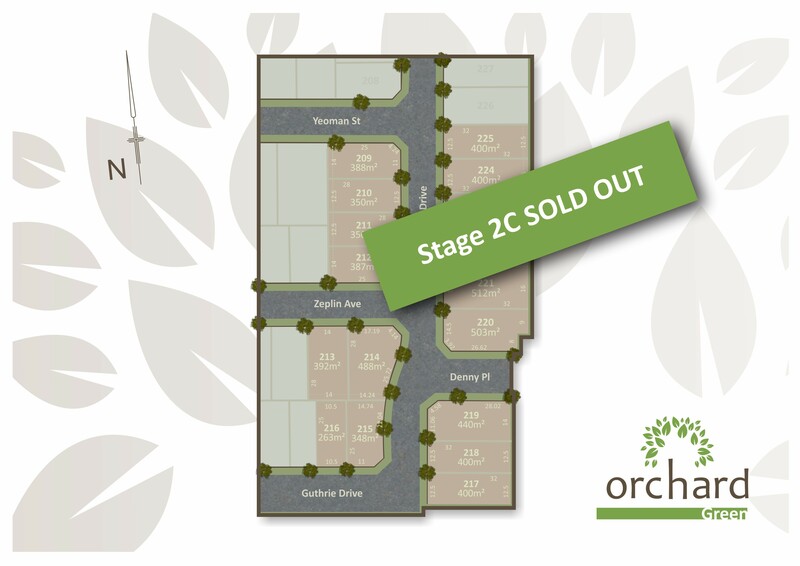 Stages 2A, 2B & 2C were all successfully SOLD OUT with strong demand from buyers, successfully securing premium lots in the Exclusive Orchard Green Estate – Melton South. From the first release date of stage 1A in early December, 2017 we were kept exceptionally busy in successfully selling 115 lots in stages 1A, 1B, 1C, 2A, 2B and 2C which all SOLD OUT within a record time. 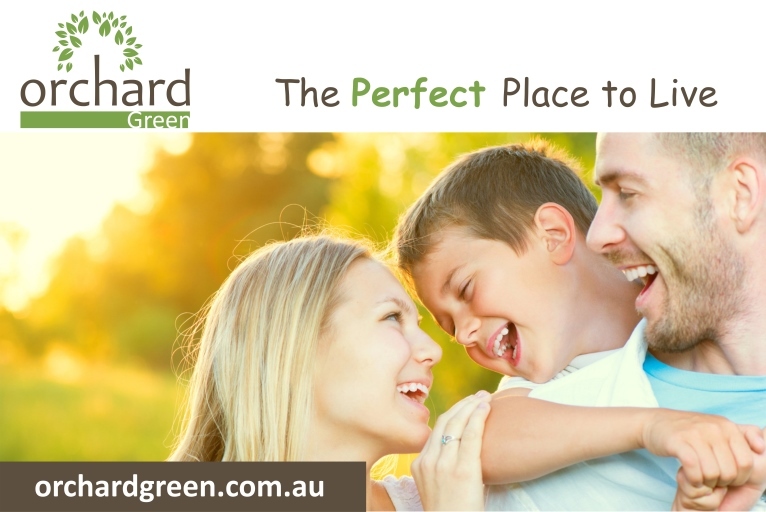 Stay tuned and email info@orchardgreen.com.au to receive an update and notification of the future land release of Stage 3 in Orchard Green Estate – The Perfect Place to Live…. Stage 2B – SOLD OUT! 18 Premium lots measuring from 346sq.m to 672sq.m in Stage 2B have SOLD OUT! Stage 2C will be released soon and will be the final release of Stage 2. Offering 17 Premium lots in Stage 2C with a mix of lot sizes starting from 263sq.m to 503sq.m. An opportunity not to be missed! 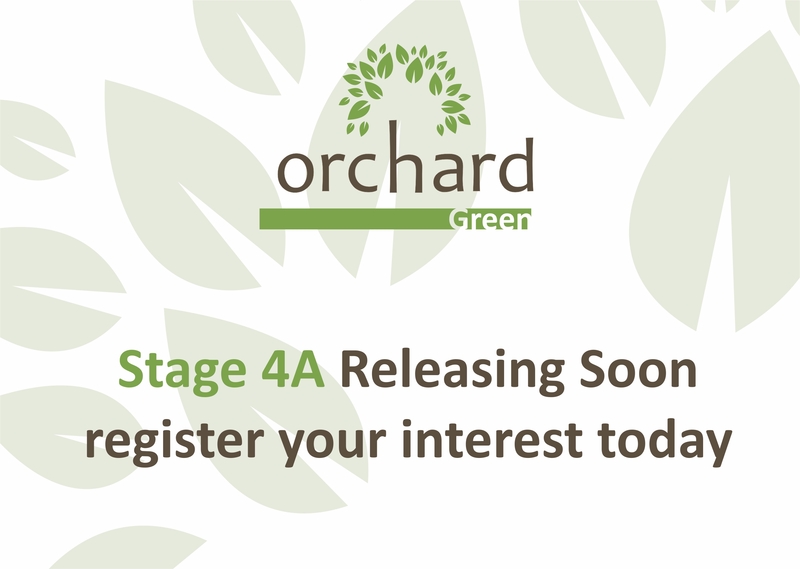 Register your interest today for Stage 2C at info@orchardgreen.com.au or contact Romeo Sassine on 0411 882 605. Stage 2B – Releasing Soon! Orchard Green is the most sought after residential estate in Melton South. Conveniently located only minutes to respected public and private schools, train station and great local parks, Orchard Green Estate offers a variety of premium allotments welcoming a community for people looking to make a new start. Register your interest today to be part of this new and vibrant community. 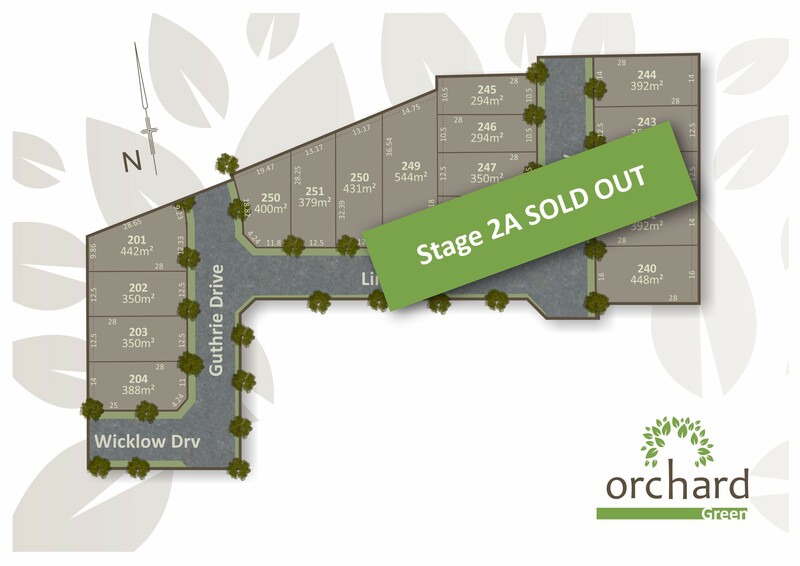 A continued strong buyer demand for premium allotments at Orchard Green had seen the all 17 lots released in Stage 2A SOLD OUT over weekend the of its release date 20th January, 2018.